From unknown to premier, Forward Multimedia has earned and now owns its niche in Trinidad & Tobago’s website marketplace. This is fact and no idle boast, and it was achieved by doing what its competitors never thought of doing, and that was to use its own website as a live example of a website working the way it should. The company started in 2011 in a market already dominated by larger and more experienced web design firms. A quick Google search at the time would not see any appearance of ‘forwardmultimedia.com’ in the first ten pages. In a hint of irony, this website company had to advertise in the newspaper. A tiny classified ad under Website Services in the Trinidad Express daily newspaper marked the beginning of this local journey. In a hint of irony, this website company had to advertise in the newspaper. With no portfolio to lean on, it was strange that the first few clients never asked to see past work. There was also no general pricing guidelines as other web designers never advertised their prices, so the initial pricing structure was somewhat arbitrarily set at $1,500 TT with no packages to choose from. Realizing that no website company worth it’s salt should have to advertise in the newspaper, Forward Multimedia began a mission to improve its search ranking while simultaneously building its client base and portfolio. It was also for that reason, that services for online marketing and SEO (search engine optimization) were not offered until it was done on the company’s own website first. Unbeknownst to early clients, the company was actually still learning WordPress (the content management system websites are built upon) and the website business in general. But that didn’t disadvantage them in any way as the website market was now beginning to develop. By the end of the first year Forward Multimedia was on the first page of Google next to established local web companies around for more than ten years, and has since remained consistently at the top, often at the number one spot, and also owning many other major industry keywords. After a consistent appearance on the first page of Google was maintained, newspaper advertising ceased completely and the company chose to rely exclusively on search to gain new business, which is still the case today. 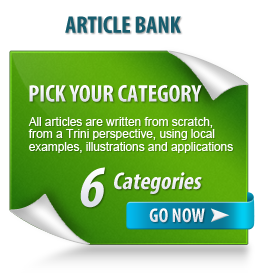 The deliberate use of articles via blog posts to boost SEO also caught the attention of First Atlantic Commerce (FAC), the Bermuda based provider of our TT Dollar payment gateway, because E-Commerce was a frequent topic. FAC offered the opportunity of a strategic partnership which Forward Multimedia gladly accepted. This marked the beginning of a concerted E-Commerce push in Trinidad & Tobago as all the major obstacles for local online shopping had been overcome. The same articles also caught the attention of the Trinidad Guardian newspaper in 2013 for a piece about local E-Commerce in their business section and asked for Founder Zaf Rahaman’s insights which were used in the article. See article here. Forward Multimedia keeps moving forward! Today, Forward Multimedia is a known authority on the workings of local E-Commerce having established and solidified networks with key players and developers and has a solid, growing portfolio of projects. The company is committed to being instrumental in the development of online shopping in Trinidad & Tobago, and continues to be on every shortlist of possible web designers for companies and individuals looking for a business website or online store. Forward Multimedia is consulted for input for the Ministry of Trade & Industry’s National E-Commerce Policy that became an official policy in December 2017. Many of the company’s recommendations made it into the final document. Over a dozen in-depth articles on the ins and outs of local E-Commerce, Forward Multimedia is a known authority on setting up an online store in Trinidad & Tobago and the main source of all local E-Commerce related online knowledge in the country. Recognized as a premier web designer in T&T, Forward Multimedia is on every potential client’s shortlist of web designers to call, often chosen over competitors with a robust portfolio of prominent companies in the country: Chief Brand Products, Linda’s Bakery, Gulf Insurance, Nutrimix Feeds, Krave Restaurant. No doubt about it, Forward Multimedia is permanently etched as a premier website company in T&T, owning the top position for at least four major keywords. Comfortable in its own skin, the company continues marching forward. After a year of consistent first page search rankings, all advertising in the newspaper completely ceases. Promotion relied exclusively via online search. Forward Multimedia appears as the first place result in Google search for the first time in January 2013! First Atlantic Commerce (FAC) contacts Forward Multimedia to quote: “explore potential synergies between our companies”, which set the ball rolling for local E-Commerce. Introduces Magento as the platform of choice for E-Commerce in T&T. Learning that blogs help improve search rankings, focus began on writing quality blog articles mainly about web design. From no place in the first ten pages of Google the year before, the company started to rise in rankings, appearing on the first page for the first time in 2012. Meanwhile portfolio continued to grow. Freshly minted, brand new company with no portfolio, Forward Multimedia launches in Trinidad & Tobago, advertising via a small classified ad in the Trinidad Express under Website Services.